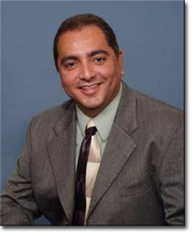 Mr. Celaya currently serves as President of RF Training Corporation a training organization that provides coaching and customized training for the support center industry . Mr. Celaya is a keynote event speaker, Certified Coach and Instructor with 17 years of support center industry experience. Randy has been recognized as a strong motivator, results focused coach and effective communicator working with groups or individuals to achieve success. Mr. Celaya has worked extensively with Help Desks and Call Centers around the world to develop, coach and train Professional to Director level positions in Customer Support, Critical Thinking, Team Building , and Problem Solving skills. Randy was critical in the conception of one of the Help Desk industries most recognized certifications in the support services industry. Randy has served as the Keynote speaker at Help Desk and Call Center events around the world.